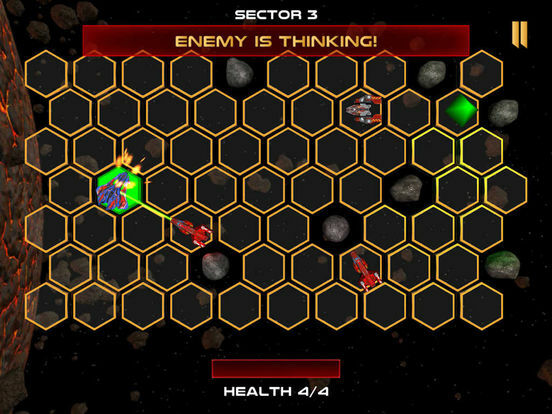 Assault Vector is a challenging turn based strategy game set in space. • Challenging gameplay. Think before you act! • Procedurally generated levels to provide a new challenge every time you play. • Fight or Flight? Choose different upgrades based on your play style. • Designed for on-the-go gameplay sessions. • No in-app purchases. Never ever! Earth is under attack by an unknown alien species. Can you activate the Deep Space Orbital Cannon & turn the tide of battle?